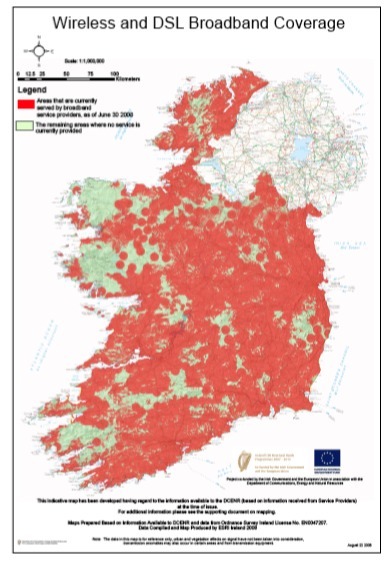 Communications Minister Pat Rabbitte today announced a new Rural Broadband Scheme which aims to identify the remaining individual premises in rural Ireland that are unable to obtain a broadband service and to provide a service to those premises where requested. This Scheme will be carried out in cooperation with the Department of Agriculture, Fisheries and Food under the Rural Development Programme co-funded by the European Agriculture Fund for Rural Development. 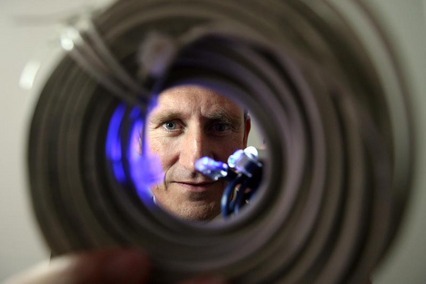 The Scheme aims to ensure that universal broadband access is provided in Ireland by the end of 2012. While the completion of the Government’s National Broadband Scheme (NBS) means that broadband services are now available throughout the country, there are remaining un-served rural premises which could not be included in the NBS or which are difficult to reach for mainly technical reasons. The Rural Broadband Scheme is designed to identify those premises through a public application process and, ultimately, to bring a broadband service to them either through existing private sector service providers or through a service provider procured by Government. “The combination of private and public investment in telecommunications infrastructure has meant over 99% broadband coverage for the whole country,” said Minister Rabbitte. “I am now launching this Scheme to identify the remaining small percentage of premises that have not been able to procure a broadband service and to provide broadband to such premises which cannot be served by the existing market. My Department will be accepting applications for a three month period starting now, so there will be ample opportunity for people to come forward with details of premises that cannot obtain a service”. The Scheme aims to identify the premises that cannot currently obtain a service and once all of these premises have been identified, to ascertain whether existing telecommunications operators can provide a service directly to these premises. If an existing service provider cannot be identified, the Department will seek to procure such a service. The combination of private and public sector programmes in the broadband market will ensure that Ireland reaches the EU target of ubiquitous basic broadband access ahead of the 2013 deadline. In tandem with this development, the Minister announced that he intends to push ahead with discussions with the telecommunications sector with a view to establishing a roadmap for the delivery of next generation broadband in Ireland in line with the commitments in the Government’s National Recovery Programme. Under the NewEra proposals in the Programme for Government there is a commitment for NewEra to co-invest with the private sector and commercial semi-State sector to provide next generation broadband to every home and business in the State. Consideration on how best to advance these proposals, for which Minister of State Fergus O’Dowd has responsibility, is being advanced. “In order to accelerate the development of high speed broadband, my colleague Minister O’Dowd and I intend to engage intensively with industry. To this end we will be convening the first formal meeting of the Next Generation Broadband Task Force over the coming weeks”. The Task Force comprises the CEOs of the major commercial telecommunications companies operating in the Irish market. The discussions will focus on identifying private and State sector investment plans, removal of barriers to investment where appropriate and establishing appropriate targets and programmes with a view to ensuring that Ireland delivers high speed broadband to all areas in line with our EU targets.